Windermere Lake Cruises is the commercial boat operator on Windermere. Each year more than 1.3 million passengers take a trip on one of their fleet of 16 boats and enjoy the beautiful scenery the area offers. 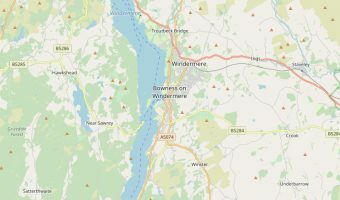 Measuring 10½ miles long, Windermere is not only the biggest lake in the Lake District, but also the largest in England. Bowness, on the eastern side of the lake, is the only major settlement that’s actually on the shoreline. Waterhead, a harbour at the northern tip of the lake, serves Ambleside, half a mile inshore. Lakeside, at the southern end of the lake, is a small harbour with a number of attractions such as the Lakes Aquarium and the Lakeside and Haverthwaite Railway. Windermere Lake Cruises offers cruises on Windermere calling at Bowness, Ambleside (Waterhead), and Lakeside. 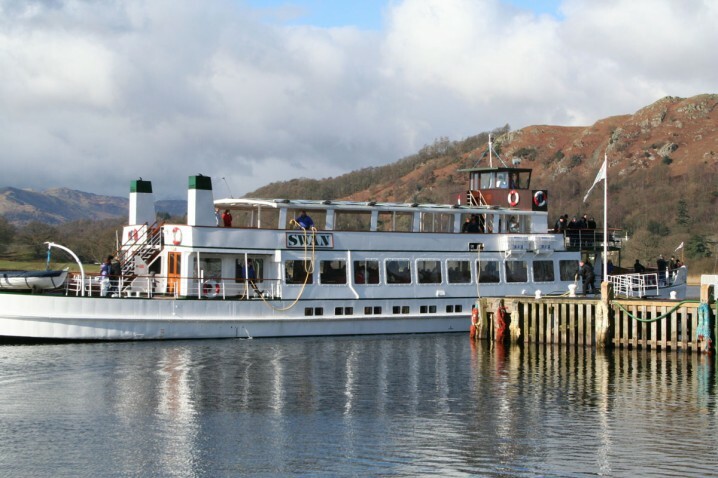 Red Cruises run between Bowness and Ambleside with up to 18 sailings a day in the peak season (April to October). A return ticket costs £9.50 for adults and £5.70 for children (5 – 15). Single tickets are also available. In the winter months there are 8 sailings a day. Yellow Cruises sail between Bowness and Lakeside with up to 10 sailings a day in the peak season. Return tickets cost £9.80 for adults and £5.90 for children. In the winter there are 4 sailings a day. Blue Cruises are circular cruises round the islands of Windermere. They depart from Bowness and return there after the 45 minute cruise. Tickets cost £7 for adults and £3.50 for children. Between April and October there are sailings every 30 minutes. In the winter there are just two sailings each day. Green Cruises sail from Ambleside to the Lake District Visitor Centre at Brockhole. Return tickets cost £7 for adults and £3.50 for children. Green Cruises only operate between April and October. Freedom of the Lake tickets offer good value for money and allow travel on any of the above routes. They are valid for 24 hours from the time of purchase. For ticket prices visit the official website. Between May and October, Windermere Lake Cruises also offer a ferry service between Lakeside and the delightful Fell Foot Park. The company also offers a ferry service between Bowness and Ferry House. Between April and October, schedules are coordinated with the Lakeside and Haverthwaite Railway. Combined boat and train tickets are available. Packages are also offered for passengers wishing to visit the Lakes Aquarium at Lakeside or the Lakeland Motor Museum at Backbarrow. Windermere Lake Cruises also hires out rowing boats and motor boats. Rowing boats can be hired from Bowness and Ambleside (Waterhead) and motor boats from Bowness. Map showing location of Windermere Lake Cruises. I loved going on the boat across the lake. What a lovely way to see the villages and hillsides. Travel in style to your destinations. It was so relaxing. There’s a large island in the middle of Windermere called Belle Island. It was believed to have been settled by the Romans. Map of Windermere (lake). Includes places to stay and visit.